The White Dog Blog: A Birthday Shout Out to one of our favorites! 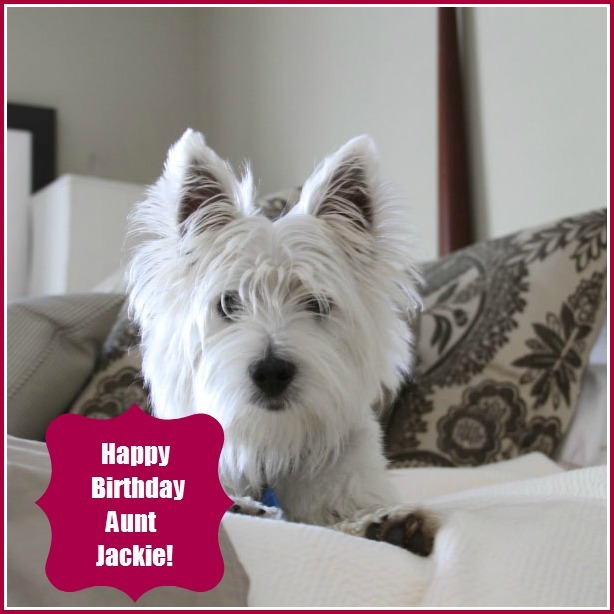 Oh, Happy Brthday Aunt Jackie!! I remember you had a pic of you and her on a walk a while back ~ you looked like you had a blast! PS. Do people ever call you "Dougall"? Some people have been posting replies on my blog and accidently calling me "Duncan"... We must look alike! Happy birthday to your Aunt Jackie, Duncan!